For dinner diners there is also a parking lot directly behind our restaurant that you may access on Burke Street in addition to street parking. We will happily bring our yummy food to you and send our waitstaff to serve your guests. Call to schedule your next event. Why make a mess at your home or office when you can enjoy our atmosphere and food and not have to worry about the clean-up? 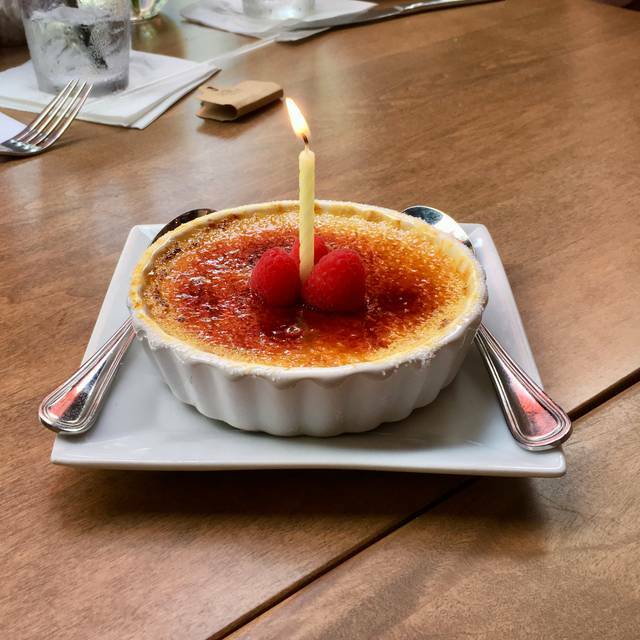 From a small intimate gathering to a feisty celebration with 24 people, the bistro's covered patio will comfortably accommodate. Heated in the winter, cooled in the summer, and open-air for spring and fall — the patio is perfect anytime. 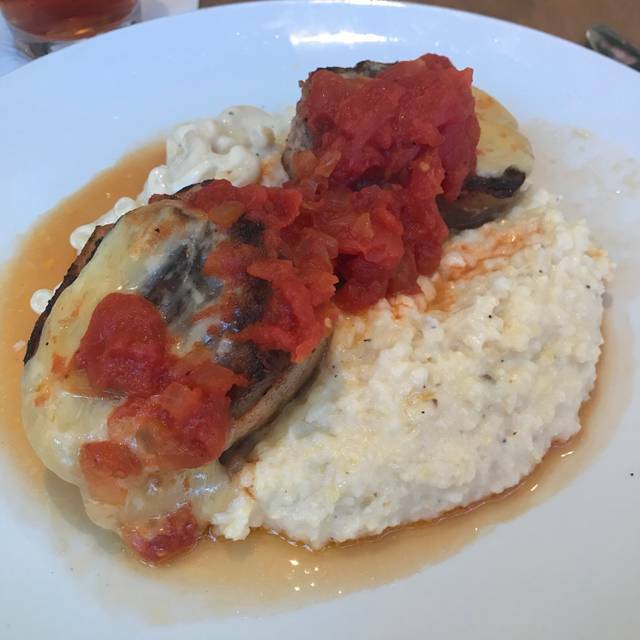 Welcome to Mozelle’s Fresh Southern Bistro, a downtown Winston-Salem restaurant. 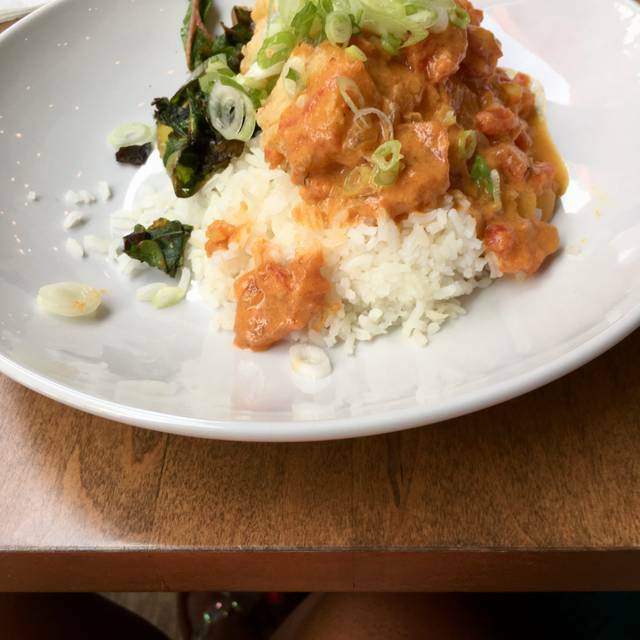 The cuisine at Mozelle's is southern-inspired and comprised of the finest and freshest ingredients. In addition to great food, patrons enjoy our cozy and lively atmosphere. 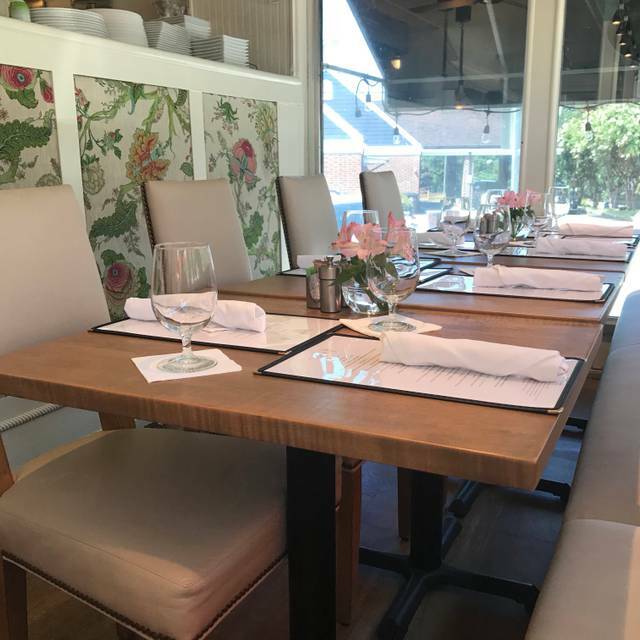 Come for lunch or dinner with friends and family, or reserve our open-air covered patio and allow Mozelle's to host your events. For parties larger than 6 and special occasions please call the restaurant. 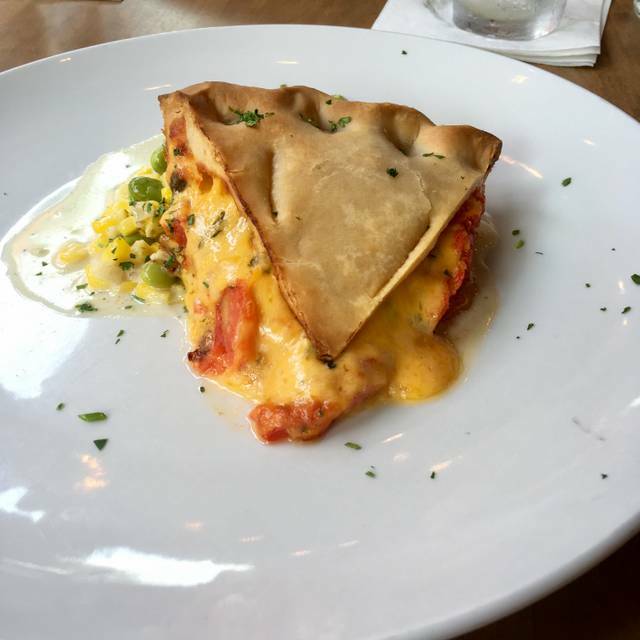 I tried the three cheese flatbread and it was absolutely spectacular! Crispy, thin flatbread, with the perfectly blended flavors of brie fondue, roasted mushrooms, provolone, fried onion petals, and arugula. I have tried several menu items and never been disappointed. Highly recommend! Everything was fantastic! Food was awesome and the ambiance was incredible! Totally delicious brunch. All meals were enjoyed. Looking forward to returning again. 2nd visit, great food and service! We will be back! We had a delicious dinner and great experience. We made our reservation on Open Table about 20 minutes before we arrived. Good thing we did because they had to turn away folks without a reservation! The host was very nice and told us the table reserved for us was still occupied and we may have to wait a few minutes. He was very nice about it and got us a drink while we waited. He offered us seating outside but we decided to wait for a table inside. Within 10 minutes, they had us seated at a table. The waitress we were assigned was very nice, very energetic and explained all the specials. We had the specials for the evening and they were fantastic! This restaurant was fantastic and we would highly recommend it! It IS very small so if you are going, reservations are recommended! Great food and service as usual! Had the meatloaf with grits and spicy collard greens! Mozelle’s never disappoints! 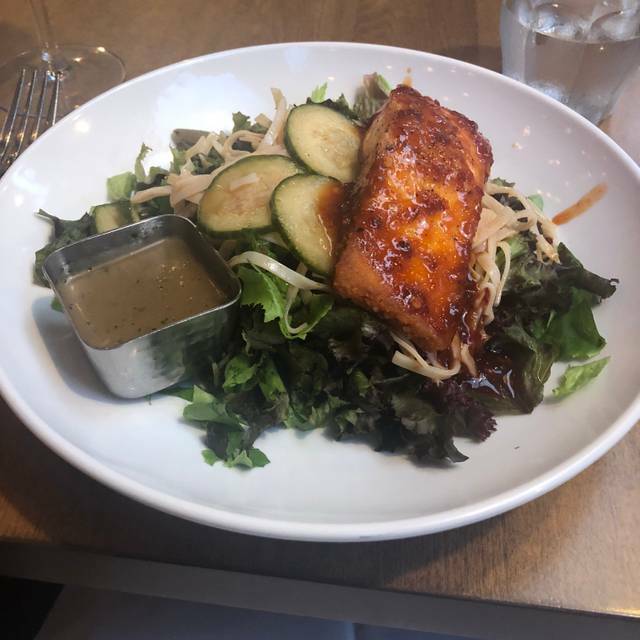 Always amazing food and service! As a casual meal or to celebrate a special occasion we always enjoy the experience! What an Awesome Experience! Our Waiter was friendly, knowledgeable and catered to our every whim. The food....Excellent! My compliments to the Chef! This was my 2nd visit to Mozelle's...just wanted to see if the 2nd would be as awesome as the 1st. They delivered! I highly recommend this Restaurant Extraordinaire!!! The service was good. The food was not. The cheese plate was something I could buy from Walmart. The nuts were stale, the dried pineapple was overly sugared, the strawberry preserve was awful. The entrees were not much better. Would not recommend dining here. Excellent service, ambience and food. Lovely evening! I sat outside on a beautiful sunny afternoon. 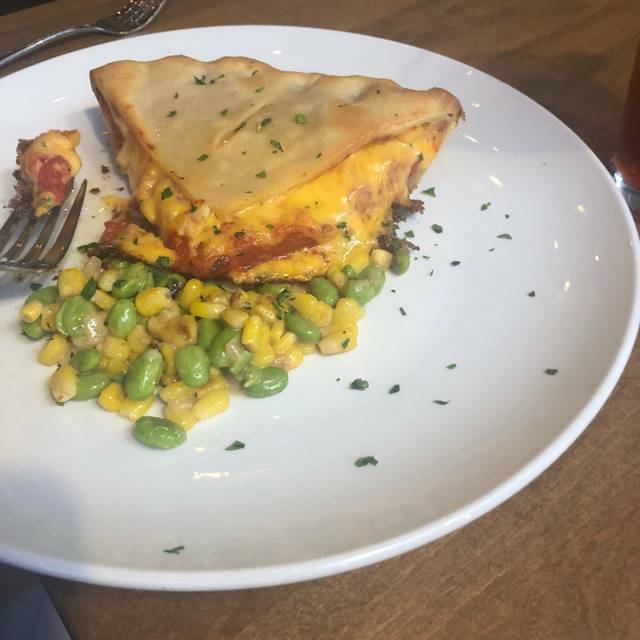 The food was great, but the coconut pie was truly inspirational. And the service is consistently fabulous. It is one of my favorite places in town. Birthday dinner, sword fish special tomato pie a bit saltier than my palate likes, yet delicious otherwise. Best coconut cream pie-thankfully not too sweet so you can taste the flavors over sugar. Waiter Tom terrific! Very loud adjacent party ( perhaps older gent deafness was unpleasant with foursome girls night out adding to the din. We were out on fabric covered addition with art work swaying on the wall- honestly I had no alcohol! Super cute little restaurant! Felt like we had found a local neighborhood gem! We set in the patio room, but wish we had chosen to eat either outside or asked for a main room table. The patio is probably super cute at night with the lights on, but during the day felt a little underwhelming. A good amount of flies around too which was annoying. The food was really good though, especially the chicken and Mac and cheese dish. Burgers were good too, but fries were barely warm so a little disappointing - still yummy though! I would definitely return and recommend to friends! The menu provides a wide spectrum of selections and the restaurant both inside and outside seating. The striped bass was moist, flavorful and perfectly prepared. We will definitely return on our next visit to Winston-Salem. Great waiter, food a bit overly "complex" salty on salad (had avacado toast and coconut pie), otherwise healthy, tasty and attractive. Always good food but service was inexplicably slow without any explanation or admission that there was an issue. Servers always seems a bit pretentious for a supposedly relaxed southern dining environment on an enclosed patio. Food is undeniably good but just missing a little bit of customer-centric appreciation. The menu was limited but the food was very good. Decent portions with a very nice presentation. The venue is small but it affords an outdoor option which we very much enjoyed. I would recommend giving it a try but it may not be for everyone. Great service with a personal touch! Loved the fennel fries and (believe it or not) the meatloaf is world-class gourmet good! Now moves up to my second favorite restaurant in Winston-Salem! GO! Perfect brunch spot! Just the right noise level. Intimate setting. Recommend reservations! Amazing food served by people who care. Dinner was suberb - we made a reservation for the following night before leaving the restaurant... Looking forward to our next trip to W-S so we can return! 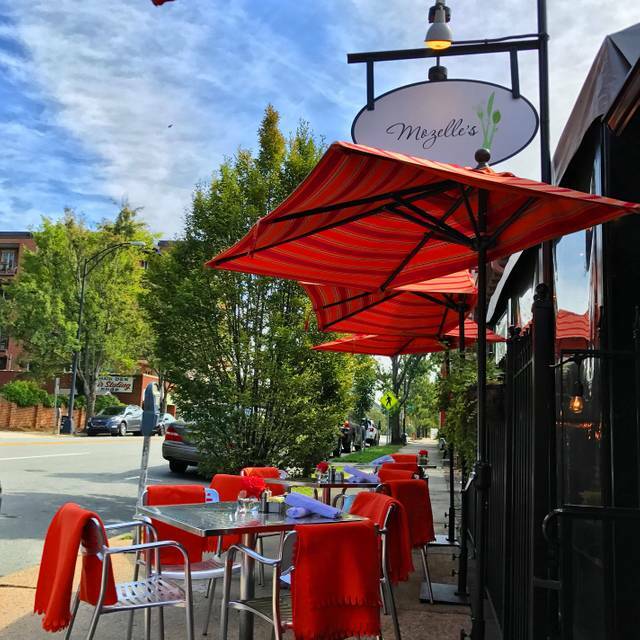 Mozelle’s is one of my absolute favorite restaurants in Winston. Constantly great and the atmosphere is nice and cozy. Outstanding food and charming restaurant. Highly recommend. Mozelle's changed their menu recently and had some new choices which was nice since we do like to eat there often. Great service and food! As it turns out, we were at Mozelle’s for an “official proposal,” as my wife’s cousin became engaged right in front of our eyes! (I got a tip a few minutes ahead of time so that I would be camera ready) Additionally, although we go to Mozelle’s fairly often, this was our first Saturday brunch - it was awesome! All four of us ordered different entrees, and each of us thought our choice was fabulous! The service was excellent, as well. Now, we have difficult choices - brunch, lunch, or dinner at Mozelle’s? Great place and really busy. Good wine selection and excellent service. Our server was awesome! Loved his knowledge of the menu and wine options. Food was fresh and very tasty! The wait staff was amazing! A little snug with the seating, but not a big deal. My wife and I will be back! Great selection of gluten free items. One of our favorite spots. Eating inside is extremely noisy and crowded. I’ve had more space between tables in NYC than here. Wonderful meal, very nice hostess who seated us early. 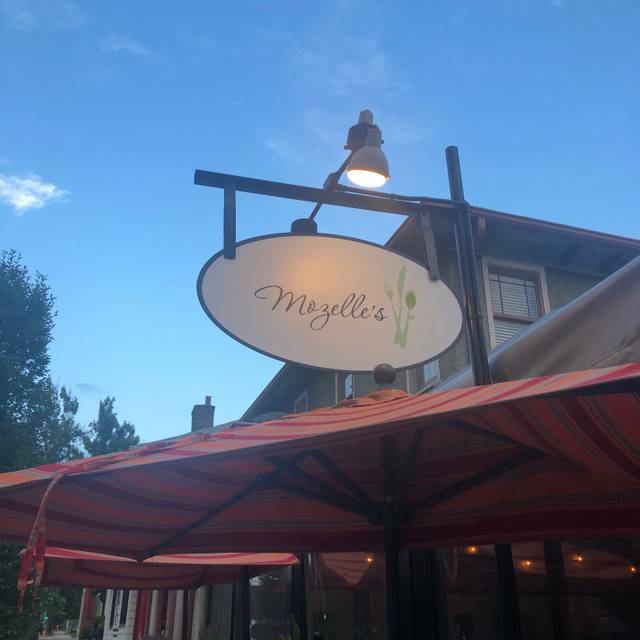 Always enjoy a great meal at Mozelle’s! The tomato pie is my favorite. Great experience. Server was perfect. Will definitely be back.